Spring Concerts 2017: a huge success! 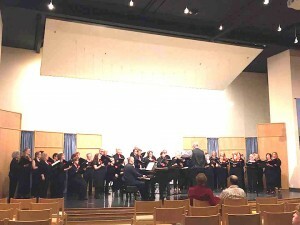 CRC performed 2 thrilling concerts April 29 and 30. We had a wonderful cozy audience at the Glaser Center concert hall, which included Daniel Canosa , our former director and the composer of one of our pieces. At Jacuzzi Family Vineyards, every chair was full of happy people. 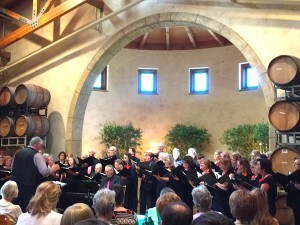 The Barrel Room is a magical venue and we sang beautifully. If you are interested in joining our chorale, please email Executive Director, Gerry Schultz.